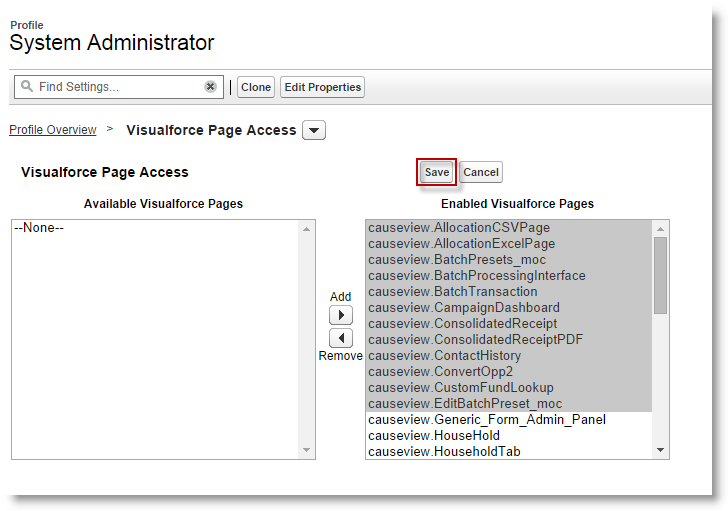 The purpose of this configuration guide is to walk you through the process of enabling Enhanced Fund Accounting in your Causeview instance. 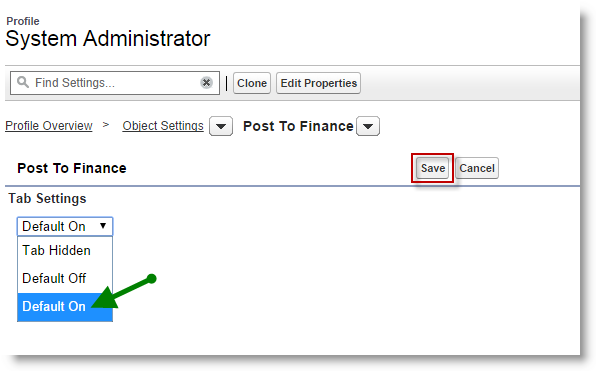 Enable the Enhanced Fund Accounting under Custom Settings. Under App Setup (or under Build), expand Develop. You will find a new setting called "Enable Enhanced Fund Accounting". Check the box to enable Enhanced Fund Accounting. 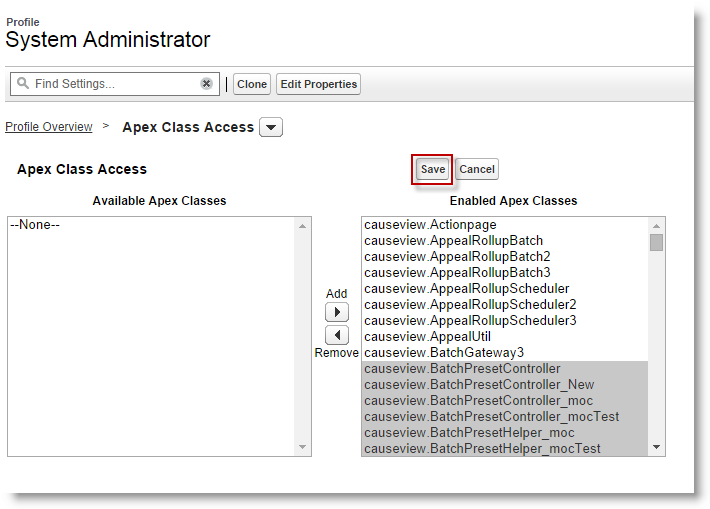 New Causeview deployments will already have this preference enabled by default. 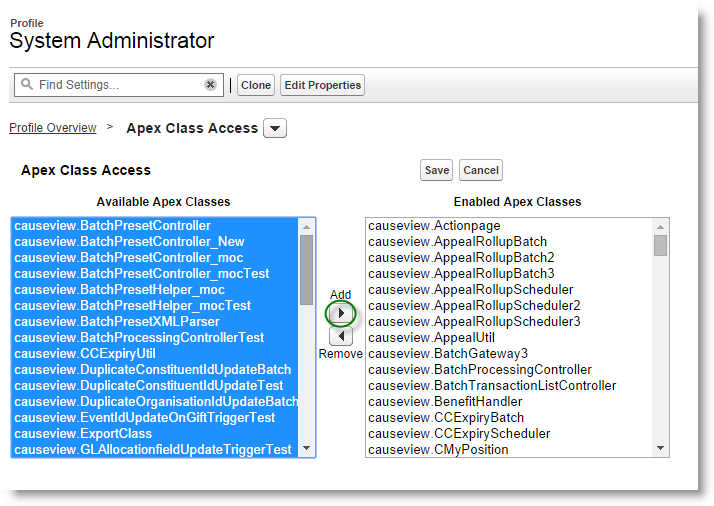 However, for upgraded deployments, you would have to manually enable the feature. This section of the configuration guide walks you through the process of enabling Enhanced Fund Accounting based on user profiles. 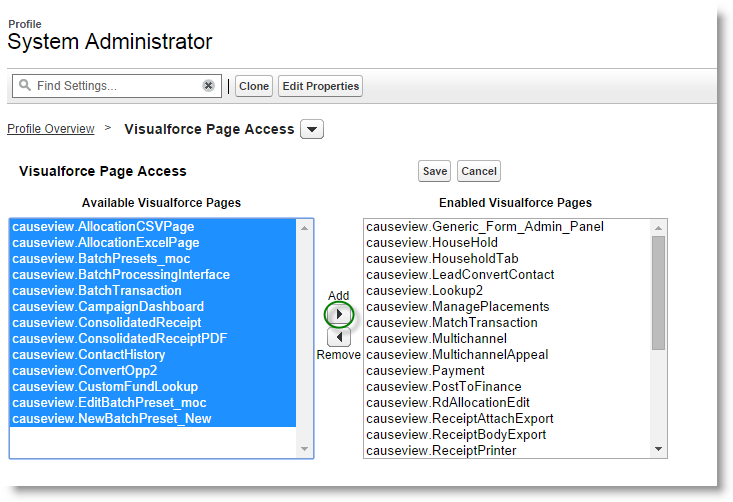 In setup, on the left side of the page, you will find a heading called "Administration Setup" (in some instances this is is labeled as "Administer"). Expand the Manage Users menu. 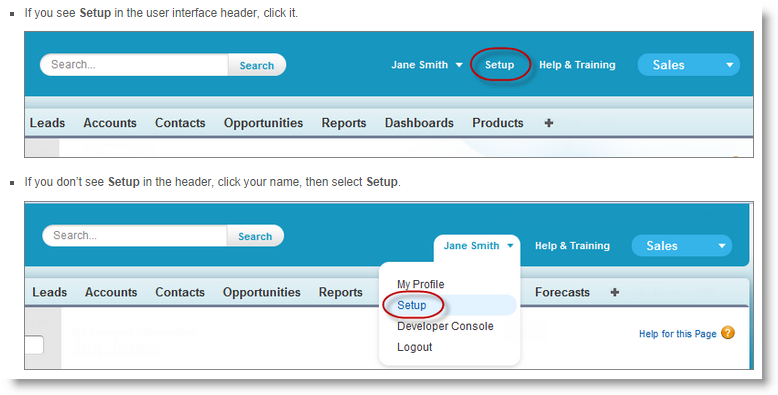 If you have multiple user profiles and would like to enable Enhanced Fund Accounting for all of them, you will need to perform the steps outlined below for each user profile. 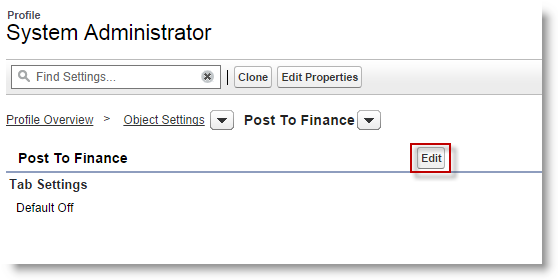 In this example, we are going to enable Enhanced Fund Accounting for the user profile called "System Administrator". In the list of user profiles, click on "System Administrator" (or whichever user profile you would like to have access to the Enhanced Fund Accounting). Within Object Settings, click on "Allocations"
Click on the "Edit" button on top of the page and scroll down to the section labeled "Field Permissions" and ensure that both Read and Edit permissions are selected for both "GL Credit Account" and "GL Debit Account". Click on save after you finish. Go back to Object Settings and this time click on "Funds"
Click on the "Edit" button on top of the page and scroll down to the section labeled "Field Permissions" and ensure that both Read and Edit permissions are selected for all fields highlighted in the image below. Click on save after you finish. Go back to Object Settings and click on "Post to Finance". 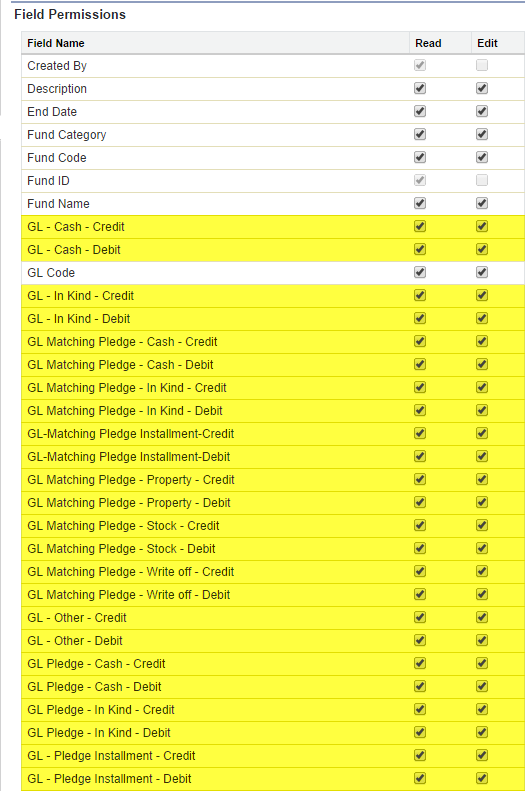 Change the tab setting to "Default On" and click on Save..
After you set the field-level securities for all GL Codes in both Fund and Allocation objects, the next step would be to add the GL Code fields to the page layout for both Funds and Allocations. Under App Setup (or Build), expand Create. Under Create, click on "Objects". In the list of Objects, click on "Fund". 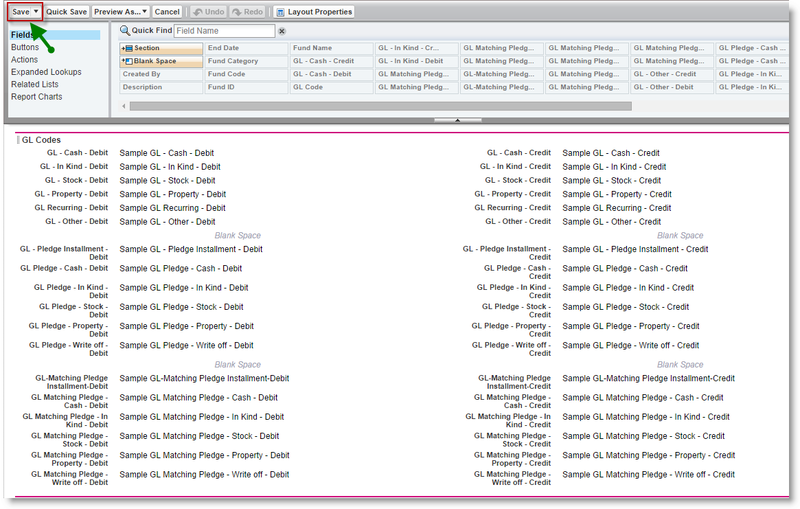 Within the Fund object, navigate to the section for "Page Layouts". Click on "Edit" beside Fund Layout 1.62. 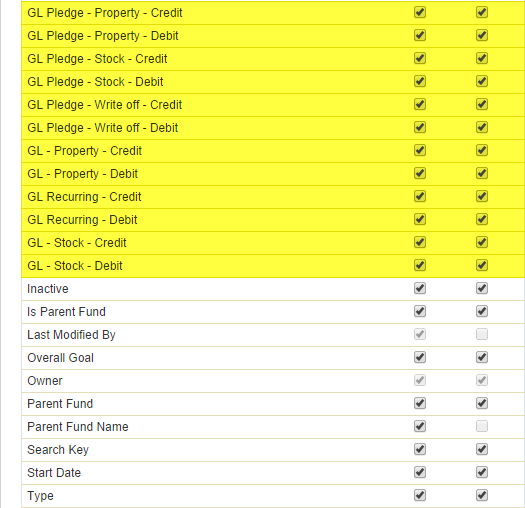 Drag each GL Code to the GL Code section of the Fund record. You can use the image below as a guide for which GL codes to include to the page and the recommended order. Once you've finished adding all the GL codes to the page, click on the Save button. In the list of Objects, click on "Allocation". 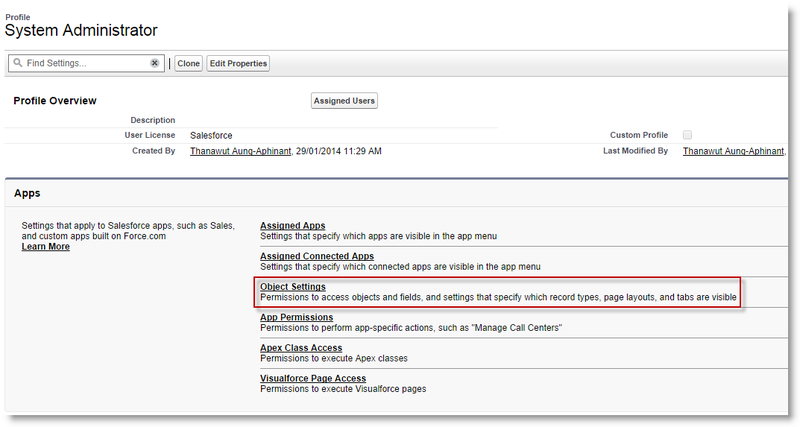 Within the Allocation object, navigate to the section for "Page Layouts". Click on "Edit" beside Gift Allocations 1.5. Within the page layout menu, click on "Buttons" and then drag the "Apply Adjustment" button to the page. 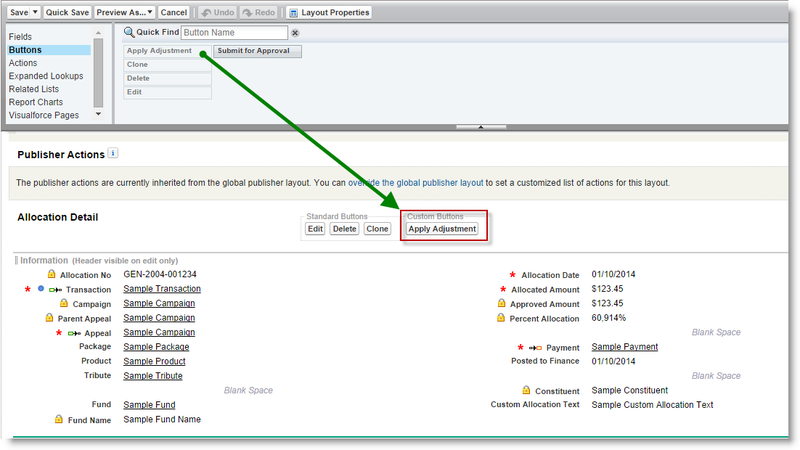 After you've added the Apply Adjustment button, click on "Fields" within the page layout menu and drag the "Posted to Finance" field to the Allocation Detail section of the Allocation record if it has not yet been added to the layout. 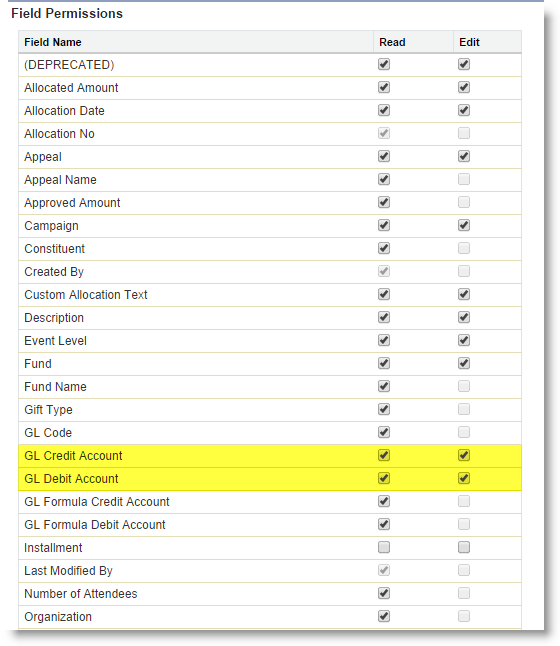 Next, drag GL Credit Account and GL Debit Account to the GL Code section of the Allocation record. If you are using GL Formula Credit and GL Formula Debit, you may retain them on the page layout and just add the new GL Credit Account and GL Debit Account fields. 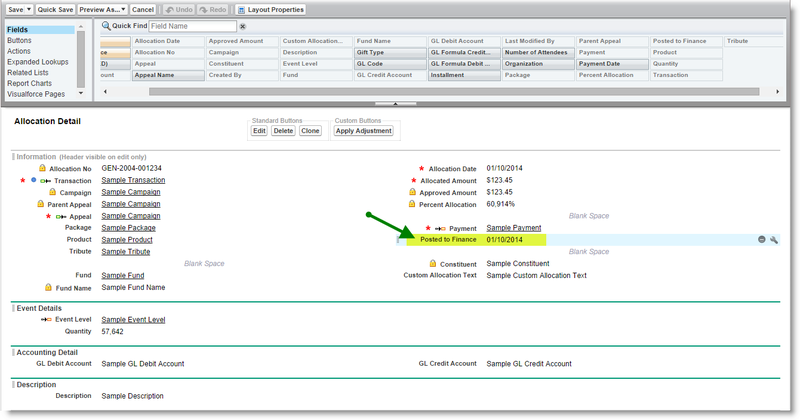 If you are not using the GL Formula Credit and GL Formula Debit fields, you may remove them from the layout. Once you've finished adding both the GL Credit Account and GL Debit Account fields to the page, click on the Save button.